With Valentines upon us, I've found some romantic interiors to share, maybe you'll feel inspired to add a little romance to your own home. 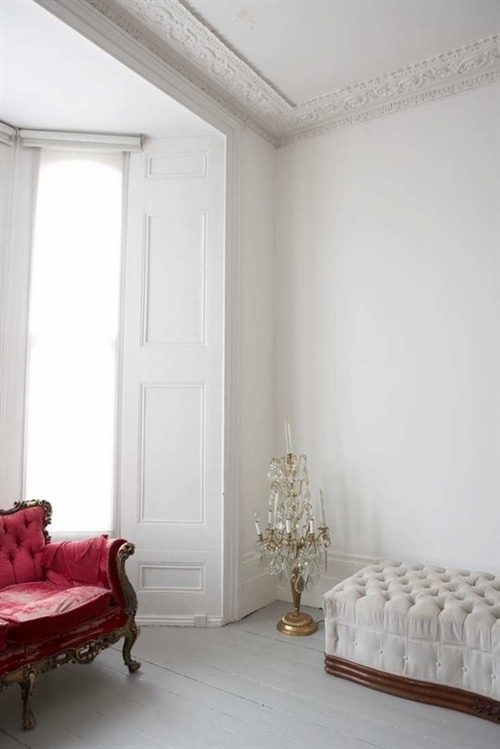 Romantic interiors often start with pastel colours. I love the soft grey wallpaper and bed linen in the first image, a subtle grey such as this creates a serene environment. 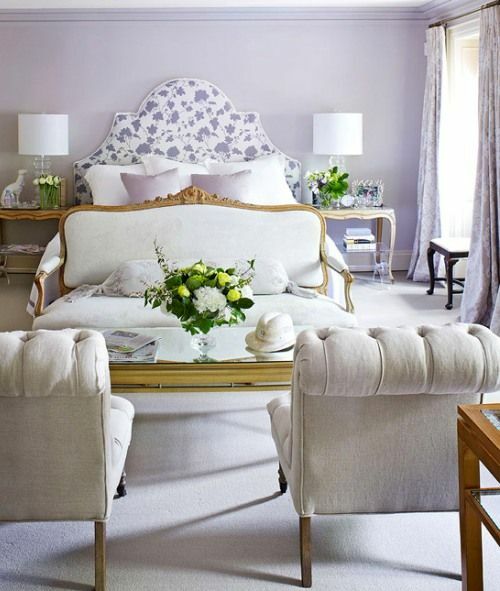 Are you a fan of lilac? Last year I introduced some Lilac to my living area by simply adding some gorgeous cushions and a throw. I knew it would bring a little colour and femininity to my otherwise neutral palette. Lilac is not every ones cup of tea, so to speak, although it definitely evokes romance. The Peony image is my own and was shot in a corner of my house. 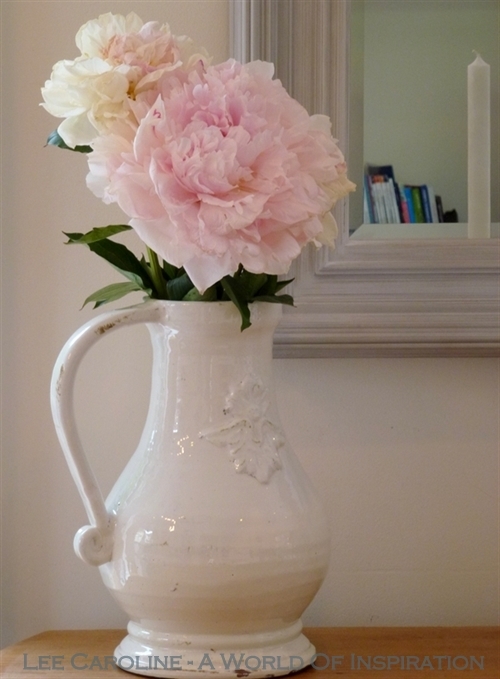 I adore my giant French jug and the beautiful Peony bloom definitely evokes romance. If you love the French style of Image 3 you can see more of this fabulous home featured in a previous post...See more here. View more romantic interiors over at my Pinterest Board. Don't forget Valentines tomorrow for NZ and the following day for my USA readers. 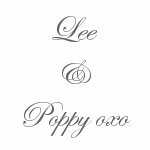 What gorgeous photos! Eye candy for Valentine's - thanks for sharing!!! Thank you Suzan for dropping by, I hope you get a chance to come back, I am always looking for wonderful images to share with my readers. I am so awe'd by the first image that I am going to re-paint my bedroom in a soft grey, I'm so excited it will be soft greys, white and touches of blue. Hi Willowday, I cannot take credit for the light in the photos, as they are not my own images, however, I do like to choose photos that have great lighting. The chest is really unusual, I haven't seen one quite like that either.